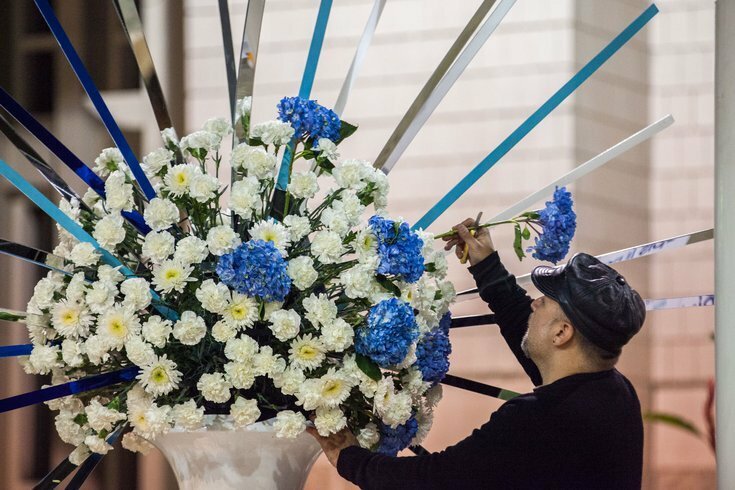 At the 2015 PHS Philadelphia Flower Show, designers took inspiration from Disney and Disney Pixar films. Which of the four elements – earth, air, fire or water – did the Philadelphia Flower Show pick for this year's theme? Florists will have to showcase "Wonders of Water" in their landscapes and arrangements this March at the Pennsylvania Convention Center. "America's leading floral and garden designers will create tropical jungles, temperate forests, native woodlands and arid landscapes, showcasing the astounding plants that thrive in each environment, from exquisite orchids and flowering vines to luminescent desert blooms," stated The Pennsylvania Horticultural Society, which organizes the show. The Flower Show will take place Saturday, March 3 through Sunday, March 11. Tickets are currently on sale. Those who buy through March 1 will receive a discount. The advanced ticket price for adults is $29.95; students ages 17-24 is $20; and children ages 2-16 is $17. Last year's theme was "Holland" and the 2016 theme was "Explore America."